The lovely people over at Sticky and Sweet kids recently sent peanut over some very cute shoes to try out and here is out review. "Sticky & Sweet Kids shoes bring class and a touch of nostalgia to infants’ feet. Designed by footwear designer, Julie Macklin, Sticky & Sweet Kids soft soled shoes are inspired by all things vintage, but with a playful, modern twist. Not only do they look great, they are made from top quality leather and are developed with an infant’s growing feet very much in mind. Designs for boys and girls are all handmade and unique in their own way. 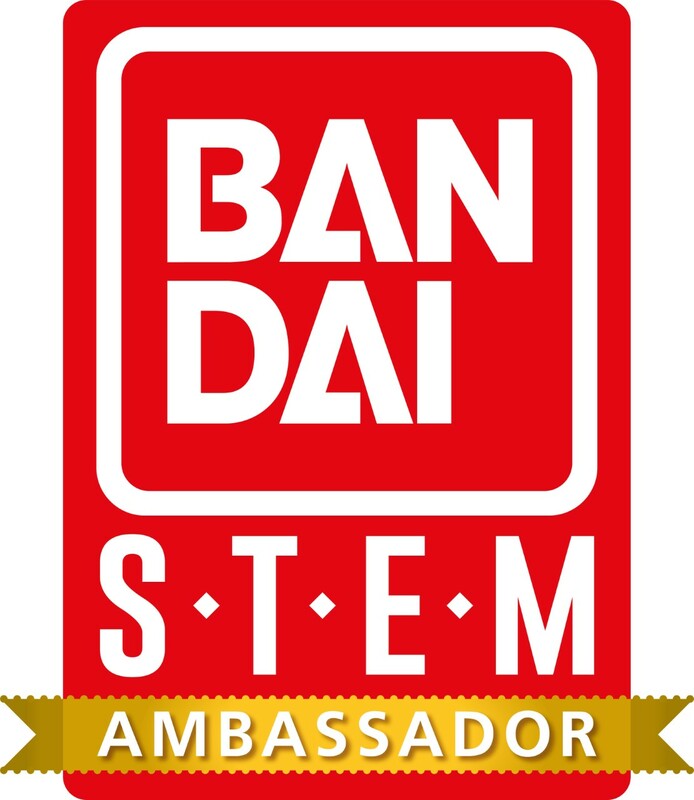 No pair will be exactly the same and you can be assured that they have been made lovingly and to a very high standard. 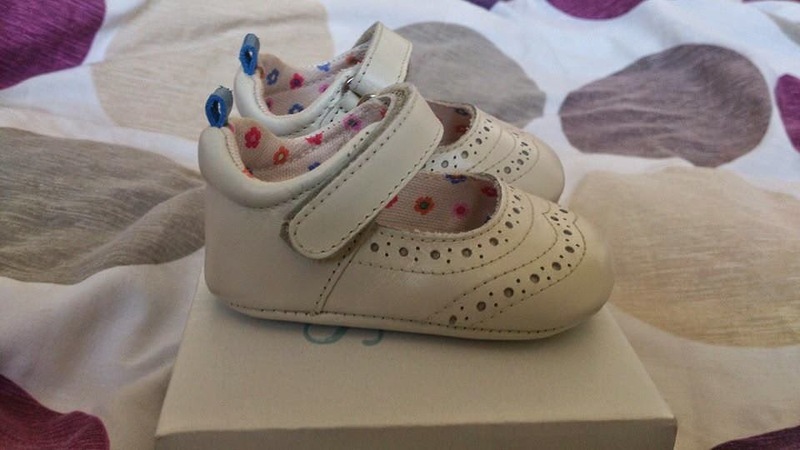 Great for everyday wear or as a Baby Shower or Christening gift, Sticky & Sweet creates exclusive baby shoes, in limited runs, but at surprisingly affordable prices." 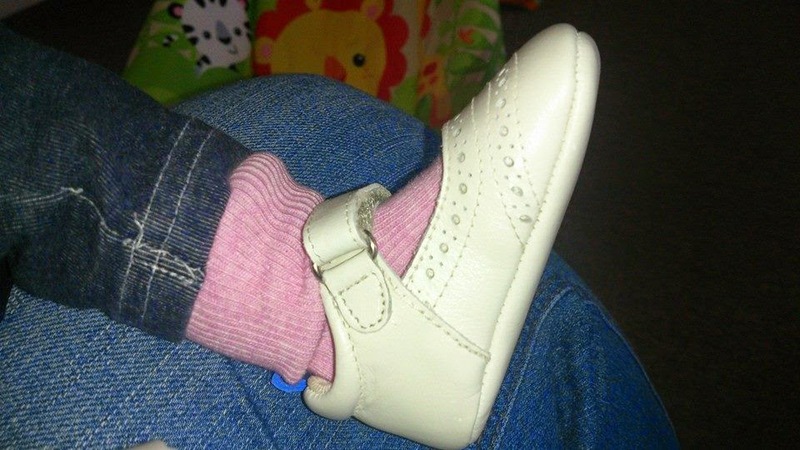 We were sent the Scarlett Ivory - Soft sole leather baby shoe. We were sent the shoe in a size 16 which is 0-3 months. Firstly how cute is this teeny tiny shoe box they come in!! The shoes come beautifully presented in the tiny shoe box (as seen above) and wrapped in tissue paper. The shoes were so soft and came in a pretty and classic design with contrasting blue loop and the back and a beautiful floral design inside. Here is peanut showing off her new shoes!! They are still a little big for her (shes only 1 month old and these are 0-3 so totally understandable!). You can see that they have a lovely wide fitting so plenty of room for growing feet and are so lovely and soft! These would make a lovely every day shoe. 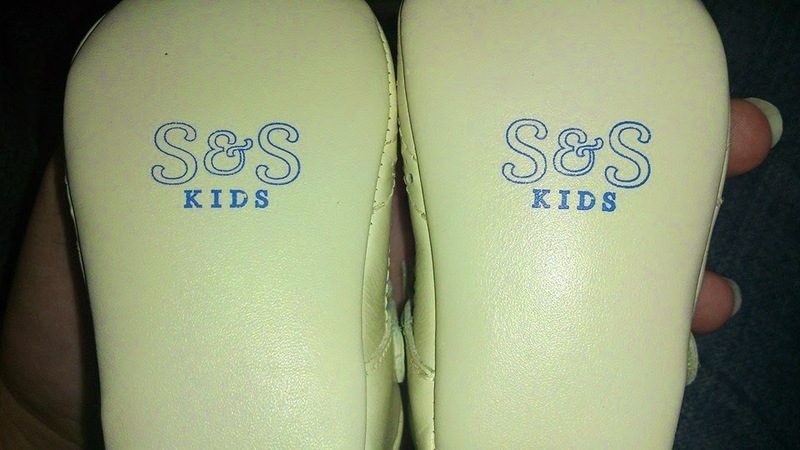 The design would also make them a lovely christening or special occasion shoe! They have a variety of shoe styles on their website for Boys and Girls and they are all so cute! These retail at just £13.50 and FREE UK delivery!! 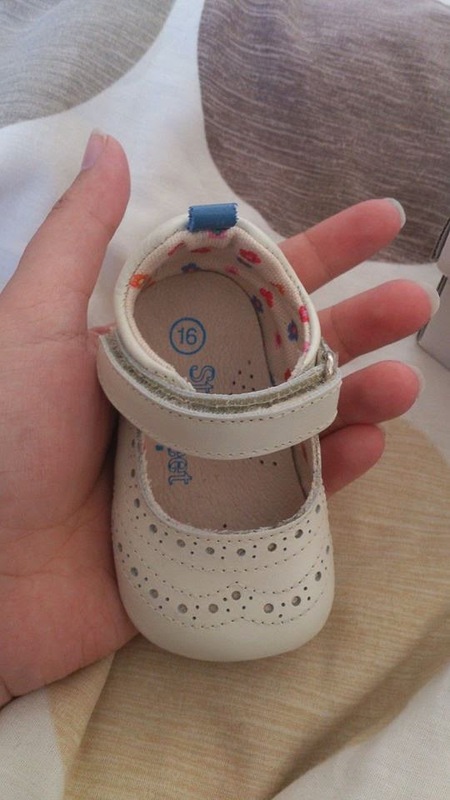 Which I think is an excellent price for such a pretty and well made baby shoe! Now they are very cute. I forgot that my boys ever had feet that small! 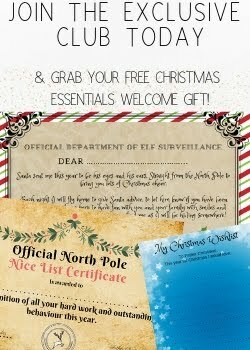 Aww how cute are these! They look like great for how cheap they are! They are beautifully presented and I would consider buying for a Christening etc but am really anti putting babies in shoes or "clothes" rather than baby clothes because they must be so restrictive for them. 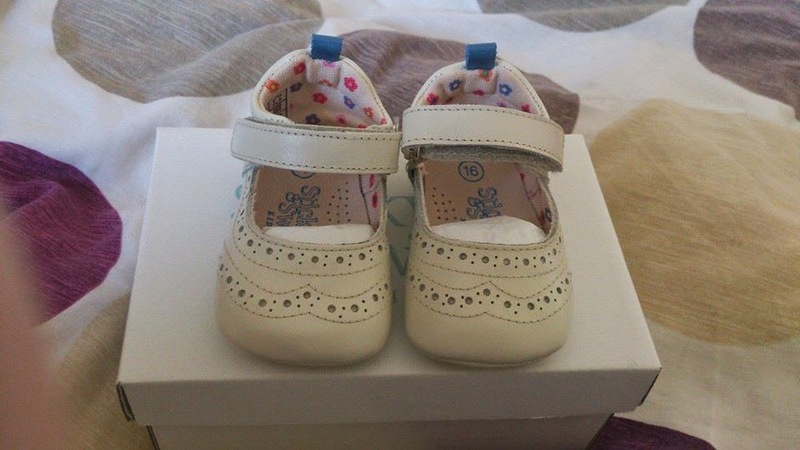 These are so cute though, they would make perfect Christening shoes with the special box to keep them in after. These look really soft and comfy, great for tiny growing toes! And priced very well in my opinion. Oh those shoes are just adorable!